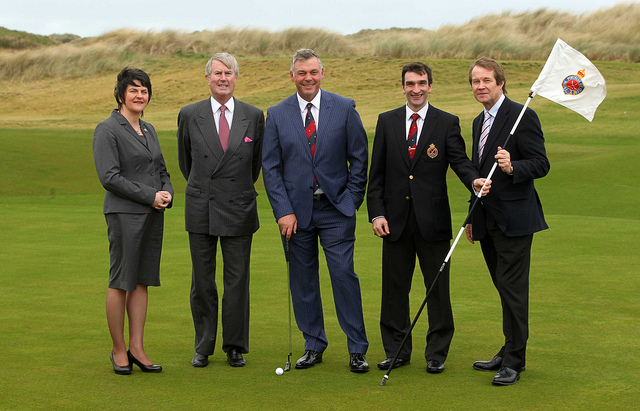 Royal Portrush to get first international major? You can watch the short video at this link, which also features Annika Sorenstam suggesting that Royal Melbourne would be a great fit. What makes this interesting are the rumours from a few months ago that the R&A were considering taking the 2018 Open Championship to Portrush, opening up a spot in their current nine course rota for a venue that hosted its one and only Open back in 1951. When this was suggested a few weeks ago, my initial thought was that it was a great idea to get onto some new courses and away from the tired ones like Valhalla and Bellerive, and my hope was that a place like Royal Melbourne, Le Golf National, Teeth of the Dog or Stoneforest would get a shot. I wasn’t considering courses in the UK because of the Open, but obviously Bishop and the PGA of America have different ideas and I wouldn’t be surprised if one of those ideas was to get back at the R&A after the whole anchored putter debate saw the two organizations land on opposite sides of the fence. The PGA of America would love to prove that Portrush can still be a worthy major venue before the R&A, right? “Royal Portrush – it has always been a dream of mine to play the Open Championship there. The PGA would do nicely. I don’t think Bishop and the PGA of America are bluffing on this one, and the support of players like McIlroy and McDowell is a big deal. Stay tuned.